Silicone Sponge Gasket & Seal provides excellent seal due to it’s number of outstanding properties. Accurate Rubber Corporation offers high quality standard as well as custom Closed Cell Silicone Sponge Extrusion profiles including Silicone Sponge Rubber Gasket, Silicone Sponge Rubber Cord, Silicone Sponge Rubber Seal, Silicone Sponge Square Rubber Cord, Silicone Sponge Rectangular Rubber Cord, Silicone Sponge Rubber Tube and any Custom Silicone Sponge Rubber profile accordingly your project requirement. Our Closed Cell Silicone Sponge Rubber Seal has smooth surface skin which allows very low water absorption and prevents water and dust ingress. Silicone Sponge Rubber Gasket & Seal offers Excellent Temperature Resistance, UV resistance, Ozone resistance as well as high compression which makes it best sealing material for many applications. We stock & sale high quality medium density closed cell sponge Siliconre Round Cord in red color in all standard metric sizes 0f 1/8″, 1/4″, 3/8″, 1/2″, 5/8″, 3/4″, 7/8″, 1″ in 100 feet roll using our online store which you can Buy it here. We shipped throughout USA and Canada. For large order volume discount will be available, please call us on 678-562-2097. If you are looking for Metric Size or any other Custom Shape or Size we can make it as per your request. All extrusion sponge profile are provided in coil or cut to length or we can make Silicone Sponge O-Ring as per your requirement. According to your requirement we provide silicone sponge cord, silicone sponge gasket and silicone sponge seal in cut size. We also supply custom size sponge tubing, sponge d shape seal, sponge u channel, sponge p section seal or any other custom shape sponge profile. 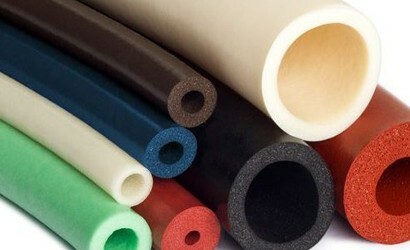 For getting a Free Quote, please send us your foam sponge silicone cord tubing or gaket requirement. Our team will work with you for make your project successful.